The great exodus from present-day first-person gunplay is upon us. Call of Duty: Infinite Warfare has gone all in on sci-fi, and the next entry of the Battlefield franchise, Battlefield 1, is going back in time, returning to its roots as a historical shooter, this time set in World War I. 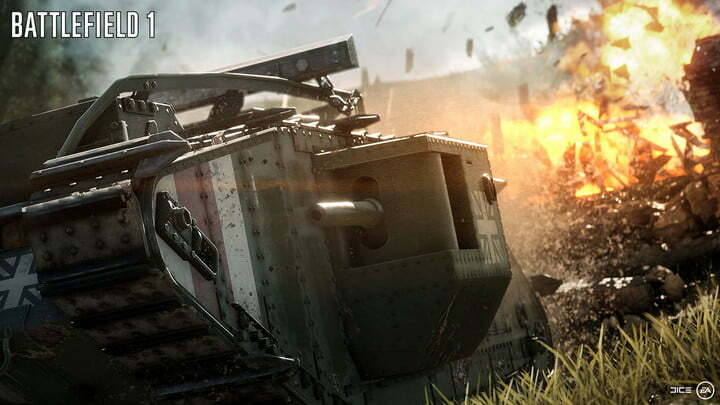 The decision to move back in time is sure to illicit a bunch of questions from modern Battlefield fans — Will there still be vehicles? (Yes) Will you still you be forced to use a bolt-action rifle? (No) — all of which could be combined under a larger banner: Is this still going to feel like the Battlefield you’ve become accustomed to playing? After spending playing some 64-player multiplayer, the short answer is “yes.” In fact, while not every aspect of Battlefield 1 works exactly EA and developer DICE intended, Battlefield 1 stands to deliver the most substantial and exciting entry in the series in years. A round of Battlefield 3 and 4 felt like a match, but a round of Battlefield 1 feels like a battle. And yet, changes are evident. Those vehicles, for example, are period-appropriate tanks and bi-planes. The tanks move more slowly than their modern counterparts, and are more susceptible to grenades and heavy machine-gun fire. 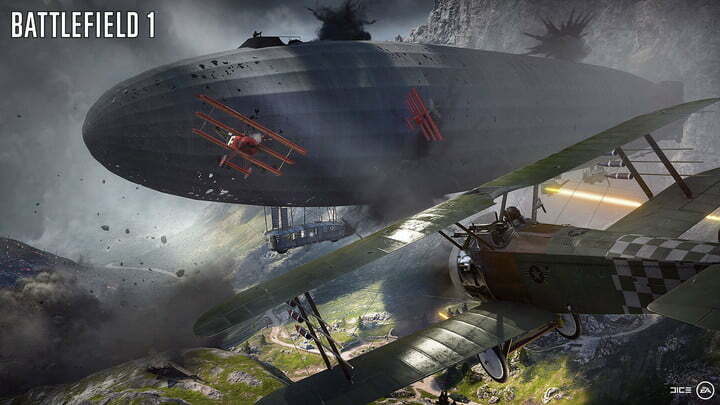 Compared to a Battlefield 4 helicopter, flying a bi-plane felt like driving a boat. But those changes make the combat more interesting. Trying to shake an enemy plane on your tail is challenging, and thrilling. Despite some aesthetic flourishes and technical nods, the game does not fully embrace the setting. For example, DICE has played up the role of melee combat. Every player chooses a melee weapon, such as a hand-axe or trench shovel, as part of their loadout, and players with a bayonetted weapon can charge and skewer an enemy by running straight at them. While that type of fighting may come into play in other maps with networks of trenches or other close quarters, the open nature of this map made it possible to spot enemies easily, making melee combat useless. Moreover, since multiple classes carry machine guns, it seems unlikely that they’ll ever be especially useful. 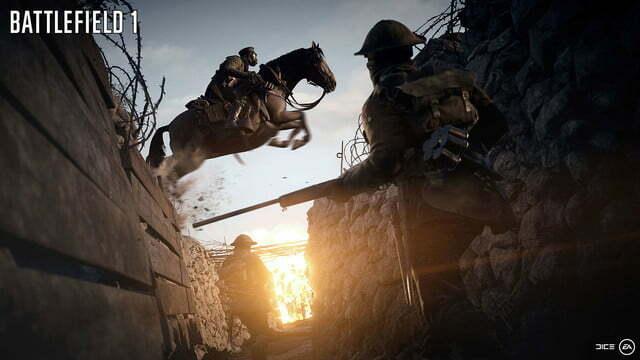 Even if it isn’t “realistic,” the game’s World War I setting feels better suited to the series’ signature sprawling levels and multi-theater battles. 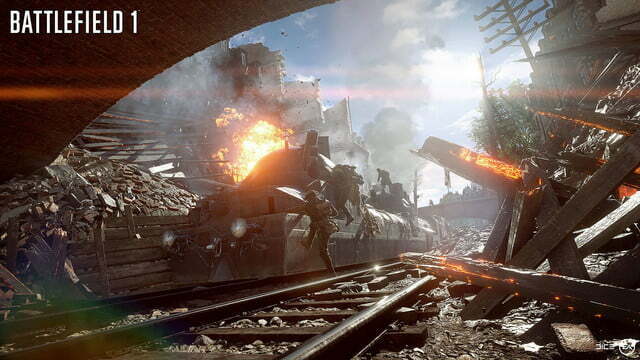 A round of Battlefield 3 and 4 felt like a match, but a round of Battlefield 1 feels like a battle. The less advanced weaponry has given DICE the motivation (or excuse) to fix some of Battlefield’s more annoying hallmarks, as well. It’s much more difficult to shoot an enemy across a giant open field without a sniper rifle or mounted machine gun, for one thing. Of course, it’s possible for a plane to fly overhead and turn you into mincemeat at any time, but drawing enemies closer together seems like like a good thing: Win or lose, you’re more likely to fight in a skirmish with many players than get taken out on the way. Similarly, In addition to the standard tanks and planes, each level will feature a Behemoth, a massive vehicle given to the losing team near the end of a match. In the demo, a massive Zeppelin appeared over the center of the map and reigned down bombs and heavy gunfire on most of the map’s primary targets, including tanks and planes. The game was close, but even if it hadn’t been, the extra pressure might have been enough to give the losing team a chance to make a comeback. At the same time, while it may serve a technical function, the Behemoth’s main contribution seems to be spectacle. When we destroyed it, the Zeppelin went down and exploded in a spectacular torrent of fire. Battlefield 1 may not be a great “World War I” game, but it feels like a breath of fresh air relative to the overused sci-fi tropes in today’s first-person shooters. Most importantly, it seems like it could be a lot of fun. We’ll find out when the game comes to Xbox One, PlayStation 4, and PC on October 21.